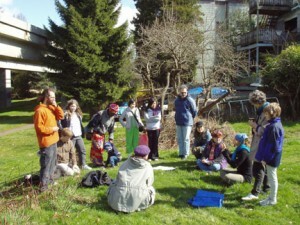 The Vancouver Community Agriculture Network (VCAN) was a three-year program to help low income and other groups start and manage community gardens in Vancouver. It was a collaboration between Tree City, the Environmental Youth Alliance, the PHS Community Services Society and UBC Land and Food Systems Faculty. It also advocated for urban agriculture, supported growers coming together to lobby policymakers and offered education and consultation to individuals on how to grow food in the city organically. We’re happy to report the program was a success. A small seed can grow into a wonderful thing. In this case ive pilot community gardens which began with a few like-minded folks sitting around a table to talk about how to improve things have blossomed into living community amenities serving hundreds of families. The best part is seeing how they continue to grow and take on new challenges of their own, making a real difference in building healthy, green neighbourhoods. As VCAN is no longer funded, operations have ended. But because we still get asked often by people and groups how to start a community garden, we keep this website up as a free public service, linking to a guidebook we produced to help people get growing. Was formed in 2006 as a consortium of groups interested in urban agriculture and community development. Initial funding was provided by Vancouver Coastal Health through its Community Food Action Initiative (CFAI) project to help residents get healthy, affordable food through shared growing projects. 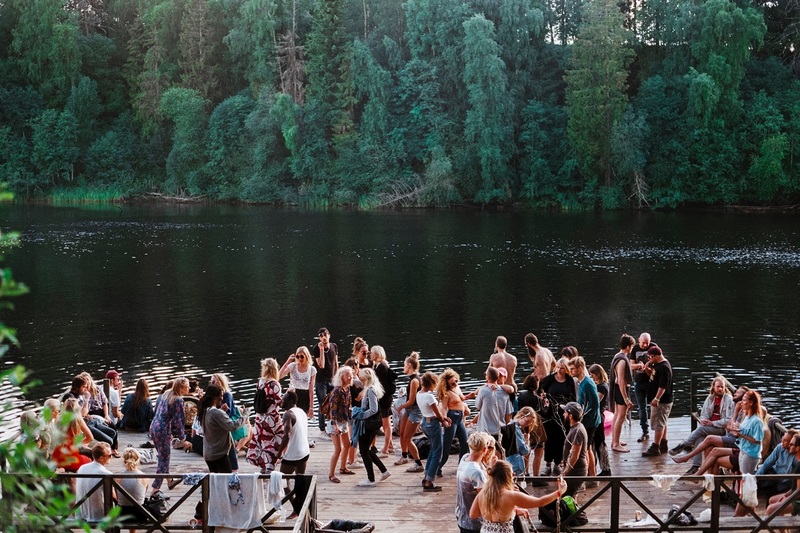 Environmental Youth Alliance – a youth-driven non-profit organization dedicated to a healthy urban environment and the wellbeing of its people. Tree City – an ecological engagement group helping Vancouver residents become community stewards of the urban forest. UBC Faculty of Land and Food Systems – a leader in integrated research and education addressing global issues surrounding health and sustainable land and food systems. PHS Community Service Society – a major service provider in Vancouver’s inner city, formerly Portland Hotel Society. Vancouver Native Health Society – This non-profit agency delivers free medical, counseling and social services, with an emphasis on providing care to the Aboriginal community, in Vancouver’s Downtown Eastside. Heifer International – This international non-profit organization works in more than 120 countries to help end world hunger and poverty through self-reliance and sustainability. VCAN is here to help you grow. Whether you’ve just started to get your hands dirty or you’re an old gardening hand, VCAN is a hub of urban agriculture community news, workshops and resources. VCAN partners with a number of experts and organizations to provide information to folks interested in growing their own food. Themes for past sessions have included: ecological garden design, neighbourhood asset development, companion planting strategies, community group formation, soil improvement, fruit tree care and organic food growing. Workshops tend to fill up fast so keep checking back and RSVP early. 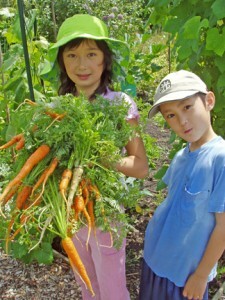 VCAN helps Vancouver growers create and manage urban agriculture projects, large and small. The Pandora Park Community Garden near Hastings and Nanaimo was still under construction in November 2009. With dozens of eager residents helping to develop the group and build the site, it looks like a promising crop for 2010. If you’re in the area, check here to see about joining in. The World in a Garden, located at East Blvd. and 57th in Kerrisdale, began as a cooperative effort between the Jewish Family Services Agency and the Spare Time Fun Day Care Centre out of David Lloyd George School. It now includes individual community members as well…and it has turned into a great resource for education and advocacy around food issues. The Hastings Folk Garden is an urban farm on the 100-block of Hastings Street near Columbia (two doors from the Insite safe injection facility). An article on the project from the Vancouver Province newspaper. The Cedar Cottage Community Garden turned an unused (except by vandals) parcel of land under the Skytrain railway near Trout Lake at Victoria and 19th and Hull into a 60-plot project that’s bringing the neighbourhood together (except for the vandals). There’s always more work to be done if you want to get involved. The South China Creek Community Garden on Glen near Broadway has turned a seldom-visited patch of turf in a Vancouver park into a high-use growing zone collectively managed by more than 45 area residents. More would like to join, but there’s already a waiting list. From maps for sharing backyards with neighbors to ways to connect with gardeners across the continent, Vancouver has a bumper crop of urban agricultural resources available year-round. 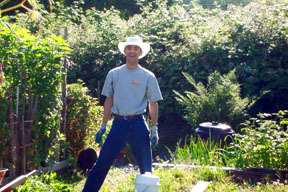 City Farmer (www.cityfarmer.org) – Since 1978, City Farmer has supported urban agriculture in Vancouver and beyond with workshops and resources. Evergreen (www.evergreen.ca) – Excellent workshop resources for school kids on school ground greening, urban stewardship, and native plant landscaping. Farm Folk City Folk (www.ffcf.bc.ca) – A non-profit society that works with food communities to develop a local, sustainable food system in BC. SPEC (www.spec.bc.ca) – Society Promoting Environmental Conservation (SPEC) address food security and green space issues in BC. UBC Farm (www.landfood.ubc.ca/ubcfarm) – Vancouver’s only working farmland, UBC farm is a 24 hectacre teaching, research and community farm. Read their lively blog here. Your Local Farmer’s Market Society (www.eatlocal.org) – Support your local farmers on market days at The WISE hall at 1882 Adanac Street – even in Winter! Edible Garden Project (www.ediblegardenproject.com) – A North-Shore based network based on growing, harvesting and sharing local food with those in need. 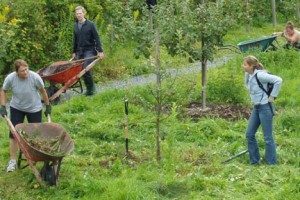 Urban Diggers Society (dig@vcn.bc.ca) – This Mount Pleasant-area group is a longtime advocate for affordable agriculture opportunities. Lifecycles (www.lifecyclesproject.ca) – Based in Victoria, BC, and dedicated to awareness and action around food, health and urban sustainability. American Community Gardening Association (www.communitygarden.org) – A comprehensive toolbox for gardeners that includes guides, best practices and innovative workshops. 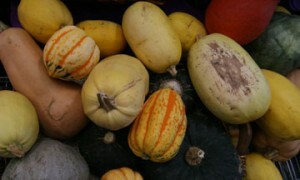 Seeds (www.westcoastseeds.net) – Get local, dependable organic seeds from West Coast Seeds. Check out their website for distributors in your area. Free Compost – For community or school gardens, contact Vancouver Landfill at 604.257.8631. Free Mulch – Contact City Arboriculture at 604.257.8631. Free Woodchips – Contact the Parks Board, North Side 604.257.8573 and South Side 604.257.8631. Click here to download our guide on starting a community garden.